A new controversy sparked Friday afternoon after three-year-old videos of Duck Dynasty’s Phil Robertson speaking at a Pennsylvania church resurfaced. 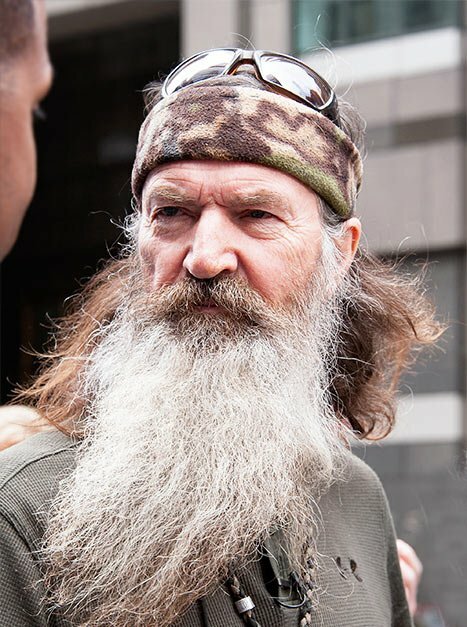 Last week, Phil Robertson, 67, made what some perceived as anti-gay comments in an article in GQ Magazine. The article is published in the January 2014 edition of the magazine. The Duck Dynasty star’s controversial comments have started a firestorm of online discussion and led to Phil Robertson’s indefinite suspension from the popular reality show. But the faith-based comments Phil Robertson made in the GQ article were echoes of statements he made while speaking at events long before the show on A&E Networks started. In 2010, Phil Robertson was the keynote speaker at an outreach dinner at the Berean Bible Church, 2675 E. High St., in Lower Pottsgrove. The big game dinner, according to the Senior Pastor Jace Erb, was meant to spread an Evangelistic message. Jace Erb said the dinner and outreach sessions are meant to bring people into church who normally does not attend. Phil Robertson spoke at the church on February 5 and February 6 of 2010. “At the time, I was able to reach [ Phil Robertson] directly,” Jace Erb said. Pastor Jace Erb said more than 1,000 people bought $5 tickets for the 2010 dinner when they heard Phil Robertson was a featured speaker. According to Jace Erb, even before the show began, Phil Robertson was very well known in the hunting community. In 1973, Robertson founded the Duck Commander Co., which designs and manufactures duck calls. “I had not heard him speak live, but I had seen a video,” Jace Erb said about hearing Phil Robertson’s message before extending the invitation to him to come speak. Once Jace Erb announced Phil Robertson was coming to speak, he said the tickets were gone in approximately 15 minutes. During the 50-minute talk three years ago, Phil Robertson spoke about what happens when people refuse to believe God exists. “They will dishonor their bodies with one another. Degrade each other,” Phil Robertson said to nearly 500 people gathered at the dinner. Despite the growing negative attention Phil Robertson is facing after his comments, Jace Erb said he would still invite him to speak again.